The UCI School of Medicine is a member of the American Medical College Application Service (AMCAS). All applicants must complete the AMCAS application to be considered for admission. The application is available between June 1-November 1 of the year preceding anticipated matriculation. The Medical College Admissions Test (MCAT) is required for all applicants. The MCAT exam must have been taken within three years proceeding June 1 of the application year and no later than Sept. 1 of the application year. Once the AMCAS application is complete, selected applicants will be invited to complete a secondary application. 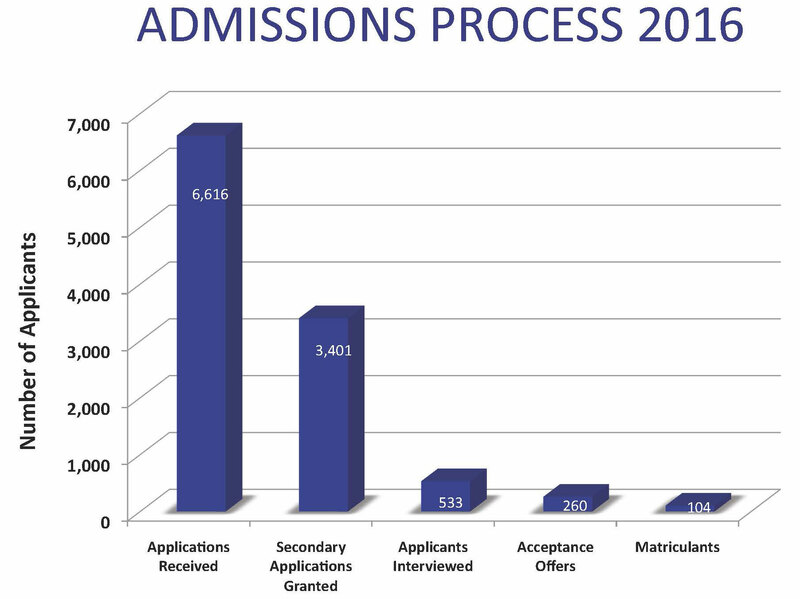 Applicants will have 30 days from the date of the invitation to complete their secondary. At this time, applicants should also ensure that all letters of recommendation are submitted to AMCAS. The fee for the secondary application is $105. If applicants qualified for the AMCAS fee waiver, they will also qualify for a fee waiver for the UCI School of Medicine secondary application. Approximately 8 percent to 10 percent of the total applicant pool will be invited to interview. Interviews are scheduled online and take place from September through April. The interview day will consist of a short orientation, student panel, housing and financial aid information and tours. Applicants will interview with both a faculty member and student. In addition there will be one 8-10 minute filmed structured interview session. Special programs, such as PRIME-LC and the MSTP programs, may have additional interviews. The UCI School of Medicine has a rolling acceptance with the first acceptances issued by Nov. 1. Waitlist decisions are made in the spring through the summer. For more information or if you have questions, please call 949-824-5388 or email medadmit@uci.edu.